Around 800 ballots were not delivered on time. If you didn’t receive yours (or if you threw it away), call LPEA immediately. Did you vote yet?! 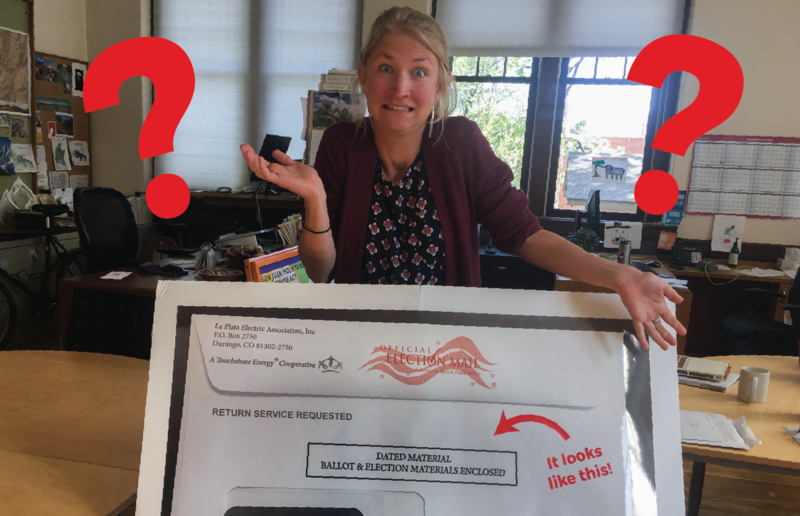 If you buy electricity from LPEA, your ballot should have arrived in the mail last week. Apparently, around 800 LPEA ballots got redirected in the mail, so if you didn’t get one, call LPEA immediately. This year’s election is critical. Ballots are due May 12th. 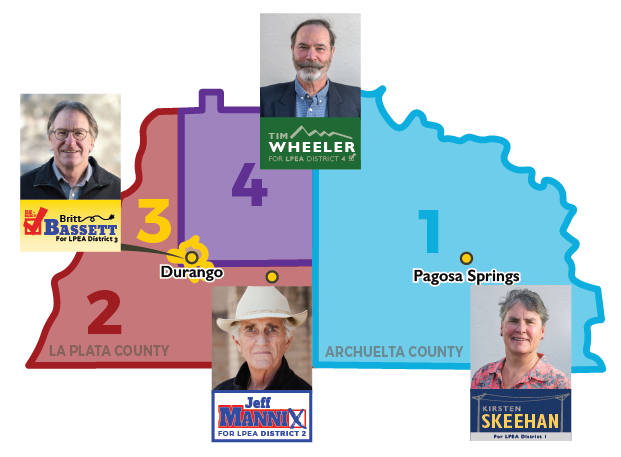 Only 25% of our community votes in this election, so every vote counts. The LPEA Board we elect this month will steer us through this shifting energy industry. These Directors will make financial decisions that will significantly impact our community. We need Board Director’s with the expertise, devotion, and vision to do what’s best to keep our rates low, our local economy thriving, and our air and water clean. Renewable energy is now less expensive than coal in Colorado. Yet, LPEA is required to buy 95% of our electricity (majority coal) from Tri-State Generation and Transmission until 2050 (Learn More). Call LPEA if you didn’t receive your ballot.